Hello everyone! 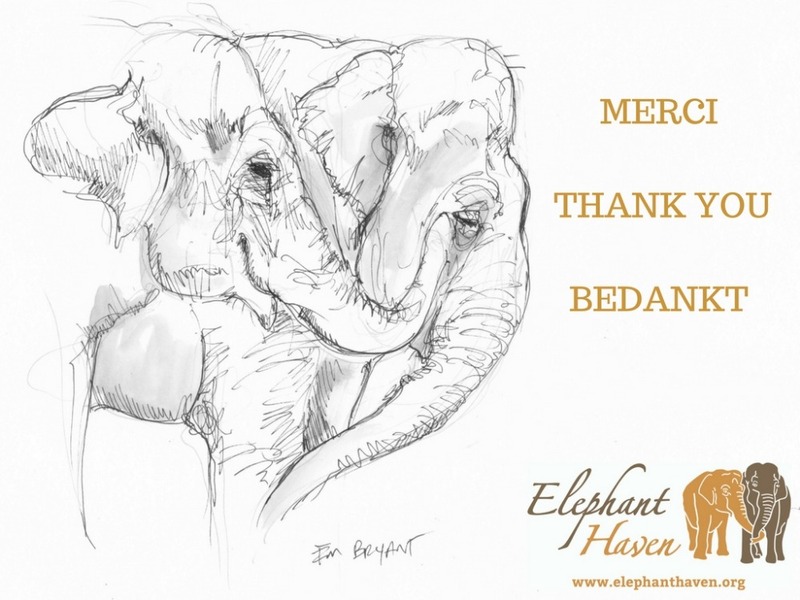 I'm helping Elephant Haven in France raise a part of the money to help them reach their goal so they can build the first barn for the elephants. I hope you'll do your part, too, and donate to this wonderful sanctuary they want to build for the love of elephants!!! PLEASE NOTE: If you are NOT using a credit or debit card, you can click the converter below and find out your donation amount in US dollars. MORE AND MORE COUNTRIES IN EUROPE ARE BANNING WILD ANIMALS IN CIRCUSES. ELEPHANT HAVEN OFFERS A PLACE FOR ELEPHANTS TO ENJOY THEIR RETIREMENT. 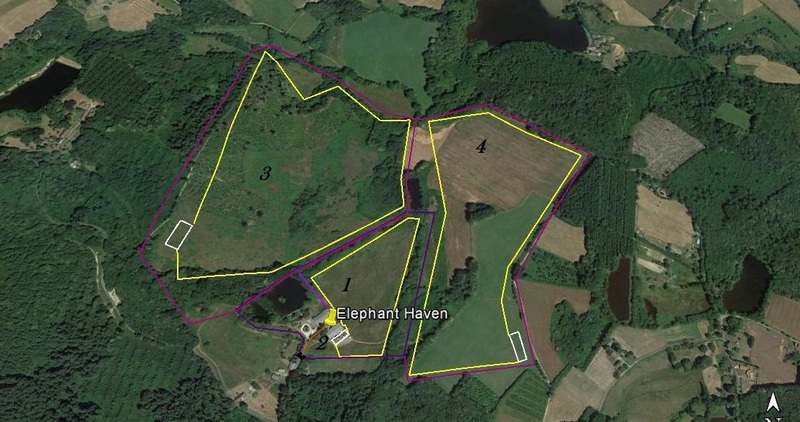 PLEASE HELP OUT WITH THE BUILDING OF THE ELEPHANT BARN SO ELEPHANT HAVEN CAN OFFER SPACE AND TRANQUILITY TO THE FIRST ELEPHANTS AS SOON AS POSSIBLE ! 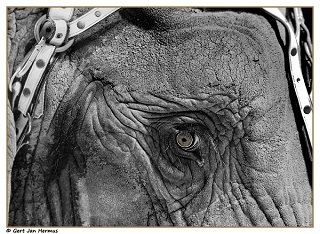 There are more than 100 elephants in circuses in Europe! 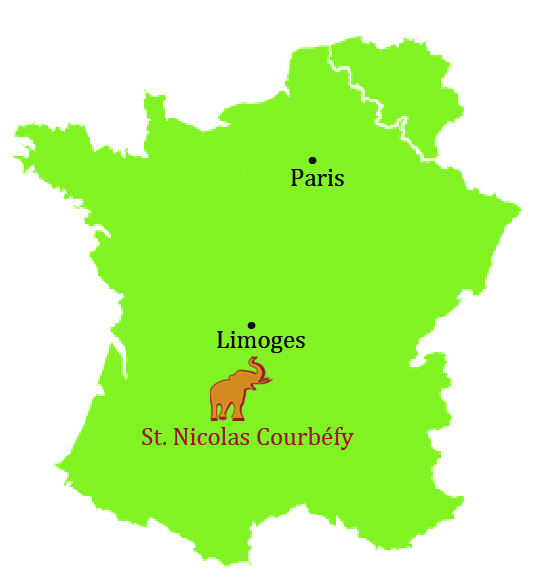 More and more European countries are banning wild animals in circuses. But where are we to place them? Relocating them back to their country of origin is not always a realistic option. In Europe there was no sanctuary. Elephant Haven European Elephant Sanctuary (EHEES) wants to offer elephants space and tranquility for life. 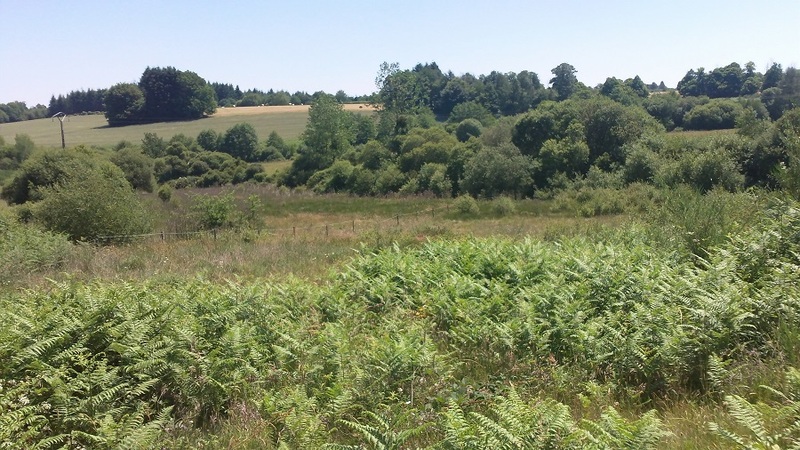 25th of May 2016 EHEES completed the sale for land of almost 29 hectares (72acres), (with the possibility to expand) located in St. Nicolas Courbefy, Bussière Galant, Nouvelle Aquitaine, Limousin, France. ELEPHANT BARN The existing open barn on the land has to be closed and insulated. 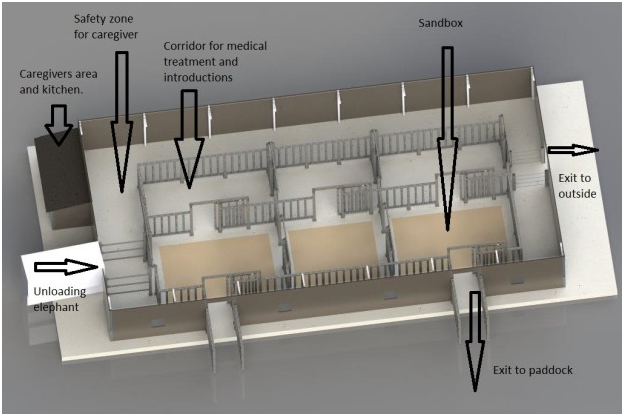 It needs windows and doors, ventilation, heating, a caregiver area and an inside structure for elephants. Inside there will also be sandboxes and a corridor, which can be connected to one another. There will be an adjacent outside paddock. This GoFundMe Fundraiser will help start the construction of the elephant barn. THE SOONER THE BARN IS BUILT THE SOONER THE ELEPHANTS CAN COME TO RETIRE. LET US UNITE TO OFFER ELEPHANTS A PLACE TO ENJOY THEIR RETIREMENT. Thanks to the generous help from supporters, businesses and organizations, we can start putting up the first 4 hectares (10 acres) of elephant fence. We will expand from there as soon as possible. 2016: Files, licensing and research, submitting building permit, and the start of phase 1: Making a part of the perimeter fence. 2017-2018: Continue phase 1- a conversion from an existing open stable to a barn suitable for maximum 3 elephants. Fence the first four hectares and night paddock for the elephants and continue making the perimeter fence. 2018-2019: This year we can offer a place to retire for the first elephants. After getting autorisation, we are allowed to receive the first visitors, and for that, a walking path and lookout platform will be built. (Phase 2)The elephants will never be disturbed. 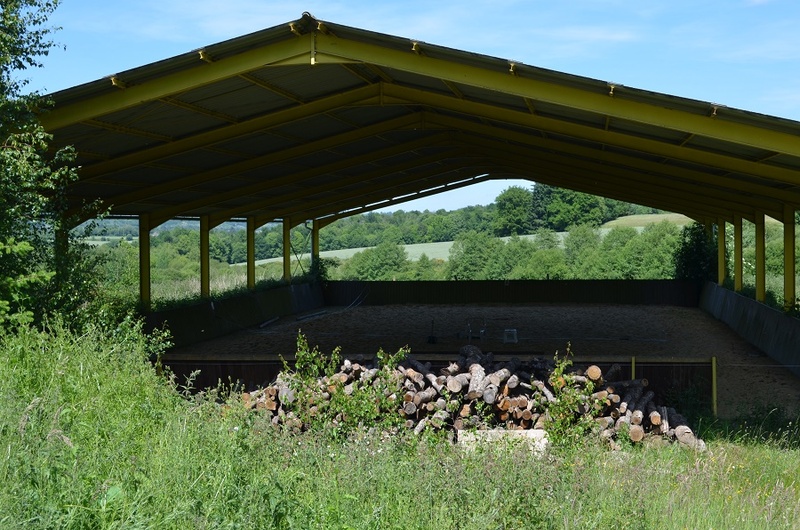 PLEASE HELP US WITH BUILDING OF THE ELEPHANT BARN SO ELEPHANT HAVEN CAN OFFER SPACE AND TRANQUILITY TO THE FIRST ELEPHANTS AS SOON AS POSSIBLE ! Any donation (large or small, monthly or a one-off) means a support and allows us the opportunity to offer a place to retire the first elephants. BY PLEDGING YOUR DONATION YOU ARE HELPING ELEPHANTS IN EUROPE TO RETIRE. We are eternally grateful for your generosity and support and we thank you in advance for joining us on this very special journey. 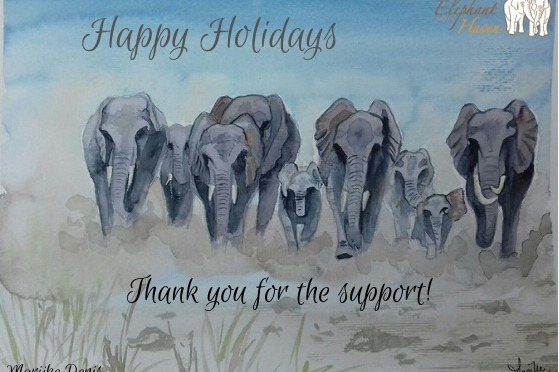 Wishing all of you Happy Holidays from Tony and Sofie at Elephant Haven, France! The inside structure of the barn should be ready in January. They hope to start the next step beginning 2019 ; closing and insulating the barn install chauffage, ventilation , lightning , caregiver's area, continue the elephant fence + gates. Below you can see a timelapse of the construction inside structure barn thus far. PLEASE consider donating to this wonderful place for retired circus elephants. They need a forever home. Thanks! THE INSTALLATION OF THE STEEL POSTS HAS STARTED. The construction of the inner structure is realised by: sas Vaudelin, Lamartine Construction and La Fabrique d'Architecture. After the inner structure will be finished, we will need to close and insulate the building, and install a heating system. Every donation (large or small, monthly or a one-off) means a valuable support and gives us the opportunity to offer the first elephants a place to retire. Follow the works on Elephant Haven YouTube! Hello Everyone! We're on our way to helping Elephant Haven build their first barn! Please join me and donate to make sure that retired circus elephants in Europe have a sanctuary to go to! No amount is too small. Thank you so much!